Parents live a busy lifestyle these days, and it can be hard to take time out to find a suitable nanny. Don’t make the mistake of rushing through the process, however. 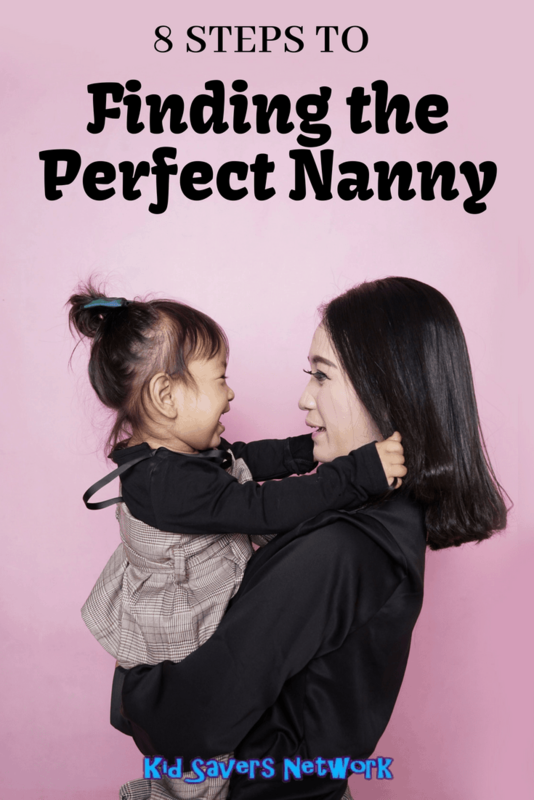 Choosing the wrong nanny will only result in a headache for you and your children! Take a look at these 8 steps which will help you find the best candidate ─ and, save you some valuable time! 3. Interview & screen your candidates! 6. Choose and have the finalists meet your children! 8. Make the final offer! 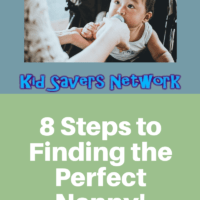 Outline the role of your new nanny. What are you looking for specifically? Make a list, and be upfront with your new prospects so that there is no confusion later on. 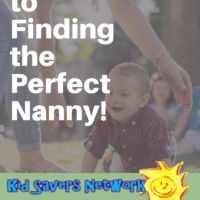 Do you want a full-time nanny? Or, only part time? What days of the week will you need your nanny to work? What times? Will the days always be the same or will you require flexibility? What about activities? Is your nanny expected to take the children to the park, or just stay in the home? Do you expect your nanny to cook meals for the children? 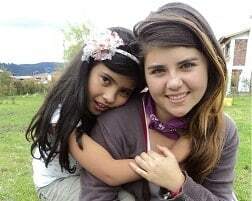 Do you want a nanny with special training such first-aid or CPR? What salary do you want to pay? What about benefits? Consider advertising in your local paper or online. 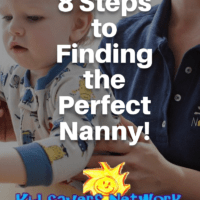 Seek the help of an agency that offers nanny care. 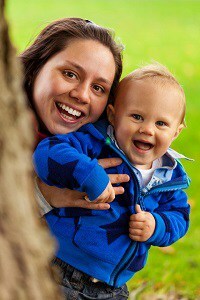 Some nannies are associated with the International Nanny Association. Nanny Source has an application for employment that you can use and other beneficial services such as certification and background checks for nannies. The interview process can be stressful for you and for your prospects! Here are some steps to take to make the process more efficient. Make a list of the questions that you want to ask. Take notes! Write down the answers so that you can review later. 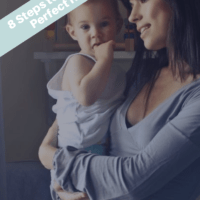 -Why did you choose to become a nanny? -What are examples of your preferred activities to do with children? 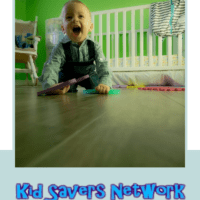 -How do you handle tantrums? -What kind of discipline practices do you employ? -Can you give an example of how you handled an accident with a child in the past? -How did you resolve any issues that might have arisen with your recent employer? Make sure there is adequate time for the nanny to ask you questions as well! 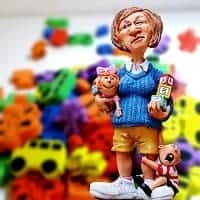 Do not just accept the nanny’s word or the care agency’s list to be entirely accurate! Take the time to do your own reference check to be certain everything checks out. Get names and current phone numbers. 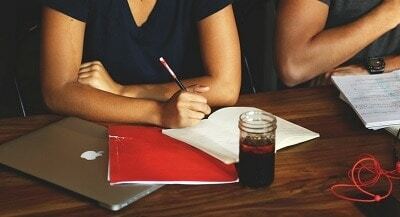 Make a note of questions that you want to ask previous employers. During the call, ask relevant questions about the nanny’s performance and personality. Ask questions about the past employer’s children, such as age and did they like the nanny. A thorough background check will include several areas such as education, certifications, criminal, child abuse or neglect and driving. Make sure that the candidate is aware of the checks and signs a document saying it is okay for you to check. Write up a simple document stating exactly what you plan on checking. There are a couple of services that you can go through for your checks. They are Nanny Source and Sterling Talent Solutions. The fees will vary depending on what you want to check. 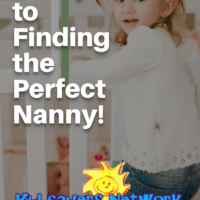 How your infant and children interact with the nanny? Does the nanny seem to feel and act comfortable? Does the nanny look like she’s acting natural? Or, does her behavior seem forced? Does the nanny engage in conversation with the children based on what they are doing or saying? Ask your kids after the meeting to see how they feel about the nanny. ─ That is if they can talk! As a precaution, before offering a stable position, plan a trial run for several days. Again, ask your children how their time with the nanny went. Trust and have confidence in your instincts. Pay attention! If you don’t think it’s a good match, keep on looking! After you have thoroughly completed all the prior steps, it is now time to make the final offer! Be clear about what the payment is and what the benefits are, if any. Go over the days and hours. Go over cooking and activities. You might want to prepare a short contract so you both understand what is expected going forward. 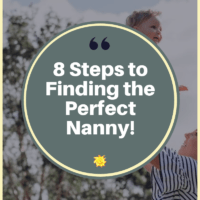 In conclusion, we hope that these tips help you on your quest to find the perfect nanny! Good luck with your search!